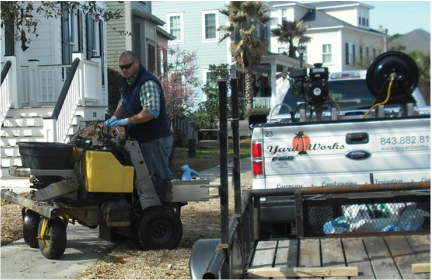 Spring 2015 - YardWorks Spray Technician preparing to treat a lawn in Mount Pleasant. As a property owner in the South Carolina Lowcountry, you know that among the greatest challenges with our warm and humid weather conditions are weeds, pests and disease in our lawns, plants and trees. YardWorks has programs that offer scheduled preventives and treatments to keep your property green and lush!